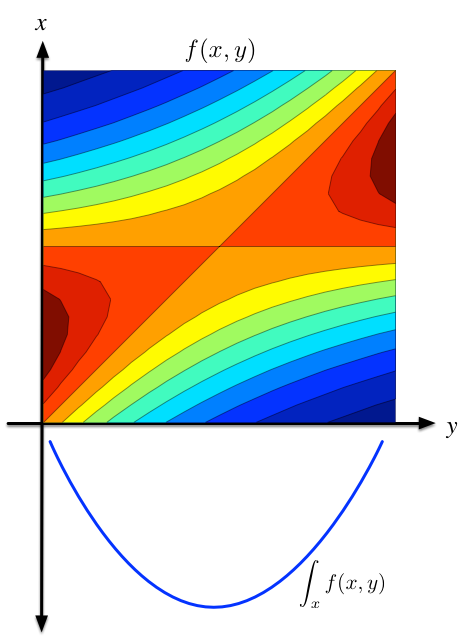 Today's trick, the Gaussian integral trick, is one that allows us to re-express a (potentially troublesome) function in an alternative form, in particular, as an integral of a Gaussian against another function — integrals against a Gaussian turn out not to be too troublesome and can provide many statistical and computational benefits. One popular setting where we can exploit such an alternative representation is for inference in discrete undirected graphical models (think Boltzmann machines or discrete Markov random fields). In such cases, this trick lets us transform our discrete problem into one that has an underlying continuous (Gaussian) representation, which we can then solve using our other machine learning tricks. But this is part of a more general strategy that is used throughout machine learning, whether in Bayesian posterior analysis, deep learning or kernel machines. This trick has many facets, and this post explores the Gaussian integral trick and its more general form, auxiliary variable augmentation. Gaussian integral trick state expansion. where the last integral is solved by matching it to a Gaussian with mean and variance , which we know has a normalisation of — this last step shows how this trick got its name. The 'Gaussian integral trick' was coined and initially described by Hertz et al. [Ch10, pg 253] , and is closely related to the Hubbard-Stratonovich transform (which provides the augmentation for ). Continuous Relaxations for Discrete Hamiltonian Monte Carlo, Zhang et al. Auxiliary-variable Exact Hamiltonian Monte Carlo Samplers for Binary Distributions. Pakman and Paninski. Graphical model for a general augmentation. This trick is a special case of a more general strategy called variable (or data) augmentation — I prefer variable augmentation to data augmentation , since it will not be confused with observed data preprocessing and manipulation. 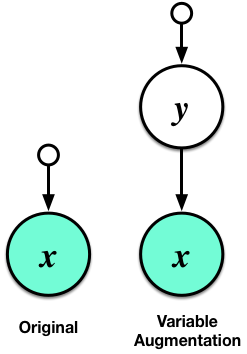 In this setting, the introduction of auxiliary variables has been most often used to develop better mixing Markov chain Monte Carlo samplers. This is because after augmentation, the conditional distributions of the model often have highly convenient and easy-to-sample-from forms. where has a Polya-Gamma distribution . This nicely transforms the sigmoid into a Gaussian convolution (integrated against a Polya-Gamma random variable) — and gives us a different type of Gaussian integral trick. 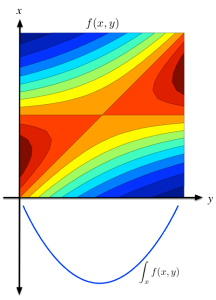 In fact, similar Gaussian integral tricks are abound, and are typically described under the heading of Gaussian scale-mixture distributions. Albert and Chib's paper is one of the first where the concept of data augmentation is most clearly established, and to whom data augmentation is most often attributed. It shows augmentation for binary and categorical variables — a classic paper that everyone should read. Ultimately, finding a good augmentation relies on exploiting known and tractable integrals. As such there can be a bit of an art to creating such augmentations and is what Van Dyk and Meng discuss. The Gaussian integral trick is just one from a large class of variable augmentation strategies that are widely used in statistics and machine learning. They work by introducing auxiliary variables into our problems that induce an alternative representation, and that then give us additional statistical and computational benefits. Such methods lie at the heart of efficient inference algorithms, whether these be Monte Carlo or deterministic approximate inference schemes, making variable augmentation a favourite in our box of machine learning tricks.